Have you ever wondered where the stories about Sophie & Max come from? Do you wish you had more time to add the stories and activities to your child’s life? If so, you are not alone and I have answers for you. 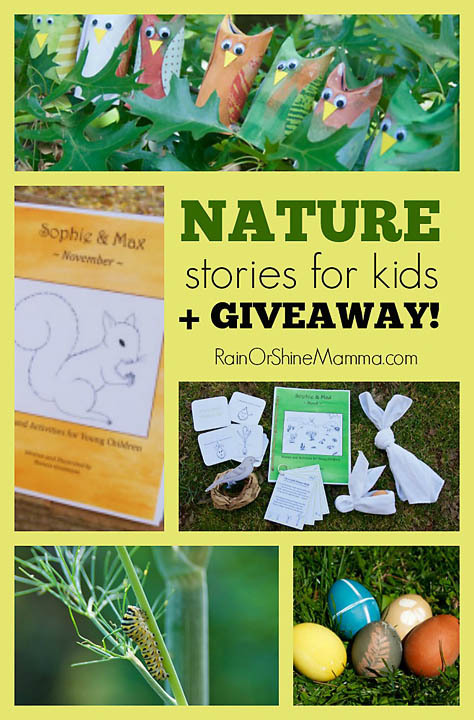 Linda from Rain or Shine Mamma asked me a series of questions about the Sophie & Max series and I answered them all on her blog. Last month, I wrote a guest post on her site about how to get started with storytelling and we though it would be perfect to follow up with a behind the scenes look about Sophie and Max and also answer some of the common questions. I also partnered with her for my very first GIVEAWAY! YAY!!! This is your chance to fill your child’s live with stories and activities for an entire year! No planning! No wasting time online searching for ideas! Just pure fun with your little one. Pretty awesome, right? Head on over to Linda’s website Rain or Shine Mamma to enter by following the directions on the bottom of her post.